This isn’t just any plastic panel room divider. It’s a 3/16″ thick crystal-clear OPTIX® room divider panel. Why OPTIX®? OPTIX acrylic meet several fire ratings, including CC-2 per ASTM D-635 and UL-94 HB. Testing shows acrylic panels are more durable than glass panels. How does this benefit the consumer? 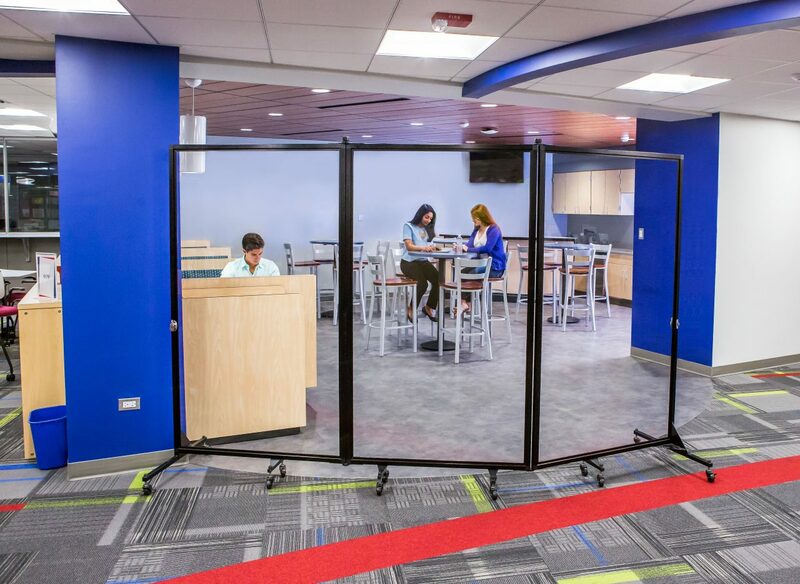 Screenflex Clear Acrylic Room Dividers provide you with the room division you need with the vision you desire. With open space concepts on the rise, it is important to maintain the integrity of the space with the ability to divide the space up as needed.